Friends are for hugs and hanging out. Parents give advice and food (in that order). But then again, there are some people that are not quite either. They won't hug you to show that they care, but their advice won't seem like a lecture, either. These are people that are everywhere, ones we see and talk to every day, but somehow never really notice. They're the backstage crew of life, making it work for you as you play your part on the big stage. Here's a limelight on some of the characters that make your worlds what they are. There are mamas and then there are mamus. Not quite family, but important men, nonetheless. The chipped little cups don't matter when you taste the magic that his nimble fingers have brewed inside. His tiny shack is where you hang out with your friends when you are broke, and sometimes even when you're not-so-broke. The rickety tin stall holds more stories than a fortune-teller's crystal ball. 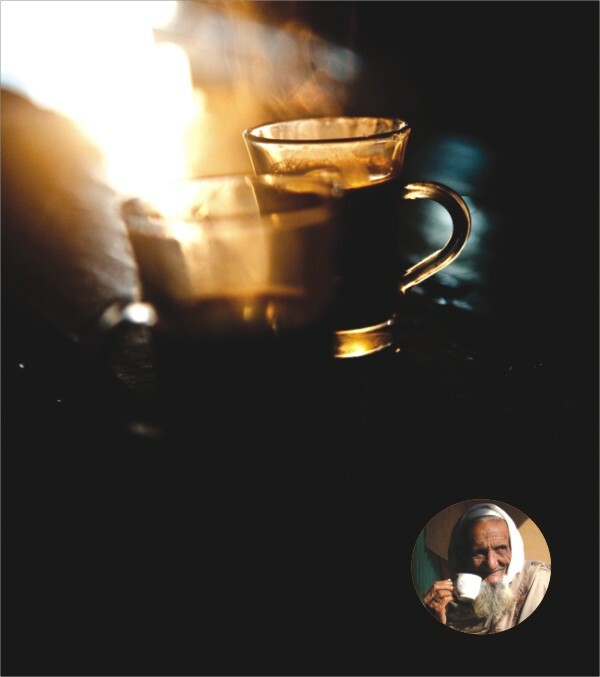 Exam tension, politics, maybe even a heartbreak or two - Mamu keeps the world going with his tea and kind words. He is someone you go to when things are crazy at home and you don't feel like going back. You sit on the half-broken bench and wonder why life couldn't be as sweet and simple as Mamu's tea. You can stay here as long as you have to. He doesn't ask if something's wrong - only if you need another cup of tea. Mamu understands. He is Chacha Miya, The Bearded One. He is never seen without his tazbeeh. He gives you a long, drawn-out salaam whenever you meet, and asks if you remember him in your prayers. You nod guiltily, not recalling the last time you prayed. Chacha Miya has said Nafl prayers for you during the exams, but you don't know that. He fought in the War, you are told. His eyes fill with tears as he mentions his family, now long gone. Dead, perhaps. The crinkles at the edges of his lips make you think of your grandpa, also long dead. Chacha Miya has been with the family ever since forever. You cringe as he tells your sister how chubby you were at her age. Even with his asthma, he single-handedly brought down the cow when the koshai betrayed you last Eid. Every house has a Russel - the mischievous boy that won't stop smiling in that adorable way. He'll run to the shops for Pepsi when your friends come over, and he'll fetch the ball every time you hit it over the side of the roof. Russel can also be a go-between for maids and their beaus, in which case the sweet little boy can be more cunning than you think. Russel is an avid fan of Bangla cinema. Come three o' clock, he'll be stationed in front of the TV, chores done to perfection, so that he can watch Purnima swoon over Shakib Khan. He knows all the dialogues, all the lyrics, and all the dance moves, too. Late at night, when you thought it was way past his bedtime, you'll hear him singing the latest hit number. No doubt, he'll be entertaining the maids with his hip-wiggling. They giggle and spoil him. Yep, Russel is a true ladies' man. She will save your stomach when there is lau shiddho for lunch. After everyone has gone to sleep, she will secretly cook you your favourite Maggi noodles. She remembers that you like one-and-a-quarter teaspoons of honey with your milk, and she gets it right every time. No matter how old you are, you are her Babu, and she will love spoiling you. Bua isn't all about the food, though. She goes 'Pfft!' at The Ring and starts off with her own ghost stories. You remember how at one time they would spook you into finishing your food, even when it had lau shiddho in it. Driver Bhai is every guy's best friend when they're in a fix. He's the only one who can get you from Uttara to Dhanmondi in under twenty minutes, even when you're running late. His mean skills make your sad Starlet feel like a Ferrari. The bus helpers tremble when he honks the horn. And let's not forget the countless times he has covered for you after your 'test drives'. Smart-talking and street-wise, Driver Bhai knows just which CD to put on when you get into the car. He's the one you borrow money from when your cell is out of credit. For some of the girls, Driver Bhai can also double as a bodyguard, warding away Mofizes with his snappy words and a Noakhailla accent. He makes you shut up when the news comes on the radio. He's loud with his political opinions and he can save your sorry behind when your backup doesn't show up at a genjam. Driver Bhai is way cool. We all have a gramer bari. For some of us, it's more real than for others. But every once in a while, this random person will show up from the village and claim to know you. Your parents come to the rescue before you unleash your Kung-fu moves on them. These people don't do the conventional fruits and mishti - they bring live chickens when they come to visit. And they will offer to peel them and cook them for you as well; bless those good souls. They will sit in the corner with your parents and have long conversations about long-forgotten people. They smile through those paan-stained teeth and ask you how your studies are going. You answer hurriedly and never ask back. They leave early next morning, even though it is freezing outside. There are smoky pithas for breakfast, because they remembered how much you love them. Now, when you've finally made it to the land across the sea, you find that there are no Chacha Miyas. Or Buas or Russels for that matter. You look around for that toothy grin, but old men here don't seem to smile. Only grumble about their pensions. Everything runs like clockwork here, and yet something is missing… something called affection and someone called Mamu.